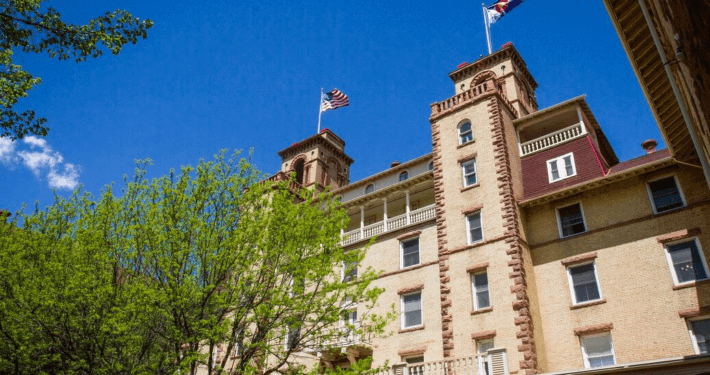 Directions to Glenwood Springs, Colorado | Visit Glenwood Today! Glenwood Springs is located in the Colorado Rocky Mountains, between Vail and Aspen on Interstate-70. Just west of the 16-mile scenic Glenwood Canyon, and an easy drive from Denver, Grand Junction, Aspen or Vail/Eagle airports. Get driving directions to Glenwood Springs using the information below and start planning your trip today! Famous for attractions like Glenwood Hot Springs, the Caverns Adventure Park, and Hanging Lake, Glenwood Springs is the perfect place for your next outdoor adventure. DRIVE… Glenwood Springs is a scenic three-hour drive 160 miles west of Denver on Interstate-70. It is a 1.5-hour drive 90 miles east of Grand Junction. BUS… Ride the Bustang, RFTA or Ride Glenwood offering options for short to long distance transportation. RAIL… Amtrak’s California Zephyrtravels the spectacular rail route from Chicago to San Francisco with daily stops in Glenwood Springs. The Glenwood Springs Train Depot is located in the heart of downtown Glenwood Springs and within walking distance of accommodations and attractions. FLY… Glenwood Springs is served by four airports. Eagle/Vail is 30 miles east, Aspen is 40 miles south, Grand Junction is 90 miles west, and Denver International Airport is 180 miles east of Glenwood Springs. Epic Mountain Express (formerly Colorado Mountain Express) provides reliable airport shuttles and private transportation services from Denver International and Eagle County Airports to most Colorado mountain locations including Glenwood Springs, Aspen, and Snowmass Village. Epic’s fleet of 250+ vehicles includes 10-12 passenger vans, 5-passenger four-wheel drive luxury SUVs, and 10-passenger Mercedes Benz Sprinter vans. Friendly, professional drivers provide reliable service and our extensive fleet of vehicles is impeccably maintained to ensure comfort. Free Wi-Fi is available onboard all vehicles. In addition to airport shuttles, Epic Mountain Express can meet your transportation needs for groups from 20 to 2000 guests. Epic’s dedicated group sales professionals help plan and arrange transportation. Friendly, professional drivers provide reliable service and our extensive fleet of vehicles is impeccably maintained to ensure comfort. 10% Discount on Epic airport shuttles when booking through VisitGlenwood’s exclusive offer link! Click on the button below to book your Glenwood Springs airport transportation from or to DIA with a 10% discount. Hitch a ride to Central Station in Downtown Denver. From DIA, take the A-Line to Central Station and either catch the Bustang (see above: Bus) or ride Amtrak’s California Zephyr (see above: Train) to Glenwood Springs. Glenwood Springs is served by four airports. Eagle/Vail is 30 miles east, Aspen is 40 miles south, Grand Junction is 90 miles west, and Denver International Airport is 180 miles east of Glenwood Springs. “Bustang” is an Interregional Express Bus service that provides daily service between Denver and Glenwood Springs. The cost is less than $60.00 roundtrip from Denver’s Union Station to the Roaring Fork Transit Authority’s Glenwood Springs’ south station. To find out more and to purchase Bustang tickets visit their website. Snow Limo & GAC offer private cars, shared rides and door-to-door 24/7 service for up to 200 people; ideal for both individuals and groups.